This might sound obvious, but businesses cannot be successful unless they are consistently generating sales. In order to generate sales, businesses have to establish relationships with existing customers while reaching out to new ones. Unfortunately, it’s impossible to determine whether or not potential customers are going to buy your product. This means business owners and sales teams need to acquire large numbers of potential leads to establish a core group of reliable customer data; this process is known as the sales pipeline. Businesses need to know what to do with all the data they collect to make the most of it. They also need to know which leads are worth following and which ones are taking up too much of their time and effort. Ultimately, the quality of a business’ leads are more important than the numbers, but without the numbers, businesses have a significantly smaller chance of success. Many businesses of all sizes implement one of the three types of CRM solutions into their sales and marketing campaigns to collect and organize customer data that can be used to generate sales; however, there has to be a firm sales plan in place to ensure each lead ends with the customer buying their product. For more on what Customer Relationship Management (CRM) is, click here. A sales pipeline is a great visual and organizational tool for businesses and sales teams to generate, maintain, and close leads. We’re going to break down what they are, how they operate, tips for maintaining them, common mistakes to avoid while using them, and key metrics that should clearly indicate the overall effectiveness and efficiency of the pipeline. A sales pipeline is a visual tool businesses use to identify the stages a customer goes through before buying their product. Identifying and clearly defining each stage of the buying process makes it easier for businesses to pinpoint their target customers and determine which leads are worth following based on how much money they bring to the table. A sales pipeline mostly focuses on the beginning stages of a potential lead. It helps business owners visualize the number of leads they generate in a specific time frame, state of purchase, source of lead, and ultimately emphasize quality over quantity. In other words, they’re outlining the sales approach and logistics a business takes. 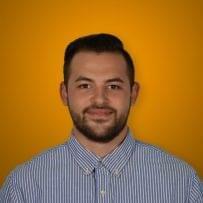 Why Are Sales Pipelines Important? They’re important because businesses need to know who to reach out to, what they’re looking for, when to schedule meetings, when to follow up, how to determine whether the relationship will last or not, and how fast the whole sales process goes. Outlines take time to set up, but in the long run, the process runs smoother because mistakes can be caught early on, directions to take and goals can suddenly change, and preliminary research on leads will inevitably transition to more effective meetings and eventual sales. Sales pipelines are a visual tool for businesses. The key to a strong sales pipeline is clearly defining each stage of the selling process. Doing this will help businesses pinpoint exactly where they need to focus to lock up a lead. 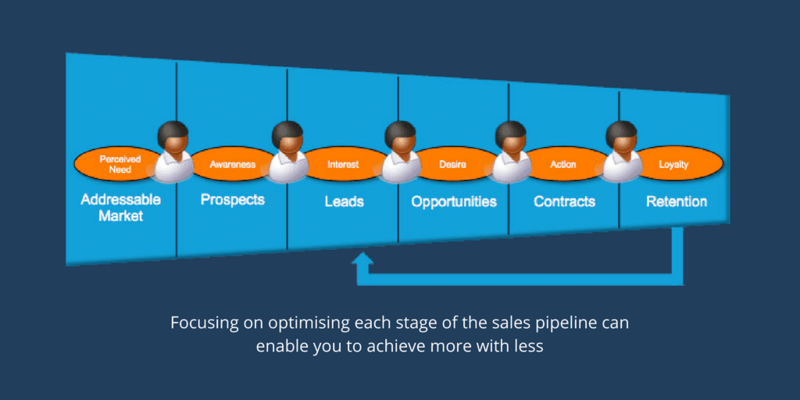 There are some general stages that every sales pipeline should follow. Let’s break down what a typical pipeline should look like. This is often seen as the first stage, which can be interpreted as a lead coming across a business’ website and filling out a form with their contact info, or a lead calling the business and inquiring about their services. At this stage, it is determined that the customer is worth pursuing. A phone call or meeting might be scheduled to confirm what the lead is looking for. A meeting will take place where a business will outline what their services are and if/how they fit the potential customer’s needs. The potential customer will determine whether or not the business meets those needs. The business will reiterate why they are the best choice for the potential customer. There will be an established price and it will also be clear what the potential customer will be receiving in return. After the potential customer agrees to the business’ proposal, they become a customer. The customer will then pay the business for their services. Cutting down on stagnant leads will prioritize active leads rather than those showing little potential. Spend some time each month clearing them out. They can always be stored elsewhere, but they shouldn’t be together with the leads with higher potential. Do not let leads disappear if there’s potential for them to turn into customers. Each lead will work at its own pace and will not be consistent with every other one, so plan accordingly. Check in regularly to stay in the customer’s mind. Automation allows businesses to not worry about things like follow-up by sending emails on previously-scheduled days at any given stage in the sales pipeline. Automating lets businesses focus on things like meetings which will play a significant role in the buying process. 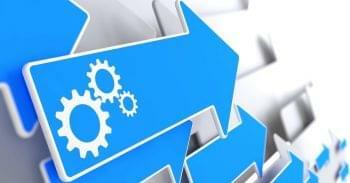 Here are five sales automation solutions that reduce manual data entry with in-depth explanations. Just because a business is successful doesn’t mean it has the right to get cocky. A business should constantly be trying to maintain or grow the amount of leads coming in. Sales funnels work in similar ways. Our guide to understanding the sales funnel will break down the importance of leads. Businesses often get in trouble when they think they can get comfortable, but what they sometimes don’t realize is that just about anything can happen — customers they once thought were reliable may jump ship for a cheaper/better service. Constantly focusing on acquiring leads significantly reduces the potential damage if anything serious happens. It’s easy to create a successful sales pipeline provided you follow our template above. Unfortunately, it’s just as easy to make mistakes that could throw off your sales forecasts. Let’s break down what some of those are. The key to a successful sales pipeline lies in its clarity. When the stages of the pipeline are easily understood, the entire business can work towards making quicker, more valuable sales. If they aren’t understood, accomplishing sales goals will be much more difficult. Teams will not be coordinated and the chance of losing leads rises. If there are too many stages in your sales pipeline, unnecessary hold-ups will prevent your leads from turning into actual customers. Businesses shouldn’t skip important steps, but they need to prioritize what is essential the moment they capture a lead’s attention to the moment they agree to make a purchase. The reason numbers matter initially is because businesses have to increase the odds of finding quality leads. If they’re focused on bringing in everyone, regardless of how good or bad the relationship might be, customers will not be happy with their service, which could lead to poor reviews either online or by word-of-mouth. Focusing on quality leads, meaning those that fit perfectly with what the business offers and appear to be lasting customers, will lead to positive reviews, returning customers, and potential for higher-paying deals in the long run. Look at how long the best sales reps push their leads through the pipeline. Many focus primarily in the beginning stages, laying the foundation for the future. If leads spend too much time in the sales pipeline, they could lose interest — or worse — be forgotten. Closing sales is just as important as acquiring leads. Nothing is set in stone until there is an official agreement between both parties. Are sales reps able to seal the deal? If not, why? Leads are more likely to consider a business when the business reaches out immediately. If you go to the store in person and a sales rep says they can help you two days from now, are you going to be okay with that? It’s important for a business to acquire as many leads as they can, provided they are qualified leads, meaning there’s potential to turn them into customers. If leads aren’t panning out, that tells the business they might need to find a new source. It’s inevitable that throughout the sales process, leads will fall through. It’s important to know where this is happening because if they consistently occur at a specific stage, it tells the business they need to clarify the purpose of the stage or consider removing it. If you’re interested in seeing what some companies have to offer, we’re going to list a number of providers with cool sales pipeline management features. For more pricing info, click the logos below. A sales pipeline is a great visual tool for businesses to see every step of the sales process, from the moment someone takes interest in their website, or calls asking for more information, to the moment they agree to pay for the business’ services. Having each stage of the process outlined makes it much easier for business owners to see where their success lies and where they can improve. Sales pipelines stress the significance of establishing strong relationships with leads from the very beginning. Customers are more likely to purchase a product when their needs are attended to upon the first signs of interest. Having the visual aid helps businesses stay organized and prevents those leads from getting lost in the process.